Are you stuck for a quick and last minute Easter basket? 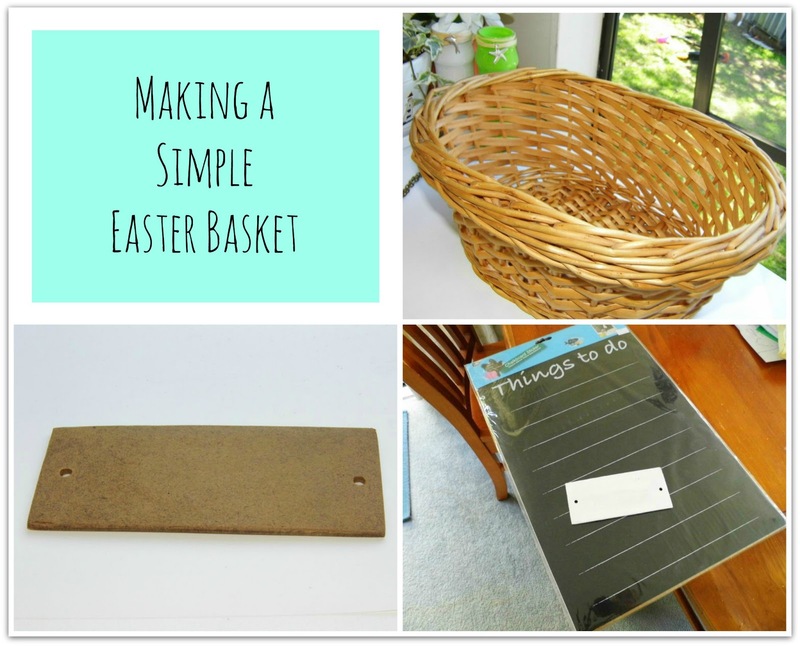 A basket, a small rectangle of wood, chalkboard paint or sticker and paint. Make a hole at each end of the wooden tag and cut a cahlboard sticker to size and stick on to the tag, or alternatively paint the tag. Really cute! Do you spray paint or with a brush on the basket ? Happy Easter to you too Nat! Love the basket and I miss making them for my kids! That chalkboard tag is a great idea too! That's too cute - fun idea!